In this post, we’ll talk about juggling the requests of many departments or managers who all want their content featured on the website’s homepage. It’s an all too common scenario: organizations of all sizes have many stakeholders and each of them are convinced that their content should have top priority on the organization’s homepage. Too many stakeholders can foster a lack of focus in direction; content governance can help. Figuring out what goes on a homepage can quickly become contentious because everyone has opinions about which program or department is most important, and everyone is trying to meet certain business and marketing goals. Having your program or department featured on a homepage—especially for websites that get millions of visits a year—could make a big difference in event awareness and sales. There are a few practical content governance strategies that you can employ to ensure success for all stakeholders in this situation. Have you been given too many directions for your website? Perhaps an organizational content governance strategy could help. Difficult decisions about what to feature on the homepage are made even more difficult when there are too many decision makers. Choose a single representative from each department or program, a representative group of program managers who are empowered to make decisions about homepage content. Think about demographic diversity on your editorial board. Outline the editorial board’s responsibilities, and perhaps a term of service for each board member. Plan quarterly editorial board meetings. An editorial board is a content governance strategy that can help in developing a single vision for a website’s homepage. My recommendation is to hold quarterly meetings, even if your content changes daily, weekly or monthly. I’m not suggesting that you change the frequency with which you publish content, just that you limit the number of times that you have to work to build consensus. There are several other benefits to meeting quarterly: knowing what content will be featured on the homepage several months in advance cuts down on fear that arises from a lack of understanding among program managers of what to expect. It reduces (but does not eliminate) last minute requests for homepage features. It also improves the process of getting copy and other assets to content management staff on time. Set the expectation that if someone doesn’t get you copy or photography on time, that they will lose their homepage slot. This puts the burden directly on the stakeholder to get things to you on a reasonable timeline. A quarterly timeline may also better reflect other existing marketing and communications planning timelines within your organization, such as when campaigns are planned out 3-6 months or 1-2 years in advance. At your meeting, repeat your new mantra: content can be rolled out and changed over time. You’re not just planning for the launch of your website, you’re planning on managing a website over time. So if someone’s needs can’t be accommodated one week, they can likely be accommodated the following week. Have your editorial board review metrics from the previous quarter at your meeting. Reviewing your content metrics with your board, can help them understand objectively what’s working and not working on your homepage. Looking at content metrics on a quarterly basis, as opposed to a shorter timeframe, can make trends and patterns in data more apparent. A/B testing can also be extremely helpful in providing objective data on what pieces of content are working and not working on your website. 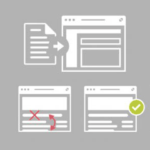 In A/B testing, a certain percentage of website visitors is shown a variant design. Then you get statistics back on which design performed better. Create several types of editorial slots on your homepage, and on key landing pages. There’s an oft cited psychology study by cognitive psychologist George A. Miller that demonstrates that people can only handle seven plus or minus two (in other words, 5-9) pieces of information at one time unless that information is broken down into smaller chunks. That’s why our 10 digit phone numbers are broken down into three groups of numbers separately by dashes. Some website usability experts question treat this as law; others as a myth. Regardless, having less options on a particular page of your website will likely improve your site visitor’s movement through your website to achieve a specific goal. To give an example, if a website visitor can only choose from “cats” and “dogs”, it’s certain thing that the visitor will subsequently choose the cats path, the dogs path, or bounce off of the page. As you add more options, the paths become less clear. So I think it’s a helpful rule to keep in mind. For many reasons, including aesthetic reasons, it’s desirable to avoid a “kitchen sink” effect where 50 programs are featured on a website’s homepage. 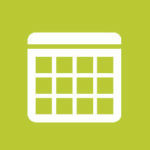 When planning the design for a homepage or landing page, I recommend planning a variety of flexible slots for content. In a visual design, this may take the shape of a content carousel or a content grid, but for Explore Chicago what worked was having a combination of primary editorial slots that were larger, with larger graphics, and second tier editorial slots, that were smaller, with smaller graphics. We combined these two types of editorial slots with a variety of tools, from a “most popular content” widget, to very rigorous site search, giving website visitors a variety of intuitive options for both browsing and searching content. 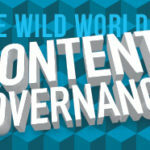 A give-and-take approach to content governance. Each stakeholder was given a permanent second tier slot on the homepage that they could change every week. The more prominent primary slots were governed by the editorial board, and were also changed on a weekly basis. This is a give-and-take approach that can help you highlight what’s most important to the website visitor, while also helping individual stakeholders meet their goals. Of course, this approach is not going to work for every organization. Perhaps you’ve chosen a more minimal design aesthetic for your homepage that maximizes photography and minimizes other types of content. Perhaps you simply have so many programs that giving them each of them a permanent slot is not practical. But thinking about how to incorporate multiple editorial features that change over time can be really helpful. You can also think about using landing pages strategically to help accommodate audience and business goals without cluttering up your home page. Compromise is the key to success, from a content governance standpoint. Weigh the pros and cons of having a beautiful, perfect visual design versus the pros and cons of accommodating stakeholders. If the accommodation is small–for example, adding an extra landing page to your website, or a small call-out box on your homepage, it may be worth compromising the design a little to keep the peace. Is this a problem that your organization faces? Share your experiences and questions in the comments section below. « Which Keywords Do My Competitors Rank For?